Take the stroller along this pathway: a gorgeous beach with soft, white sand on one side and the historic, Cape Cod-style Hotel Del Coronado on the other. You’ll find this on Coronado Island, a clean, safe and distinguished place to bring your family, whether your toddler wants to play in the calm waves of Glorietta Bay or you want to show baby the unique downtown. 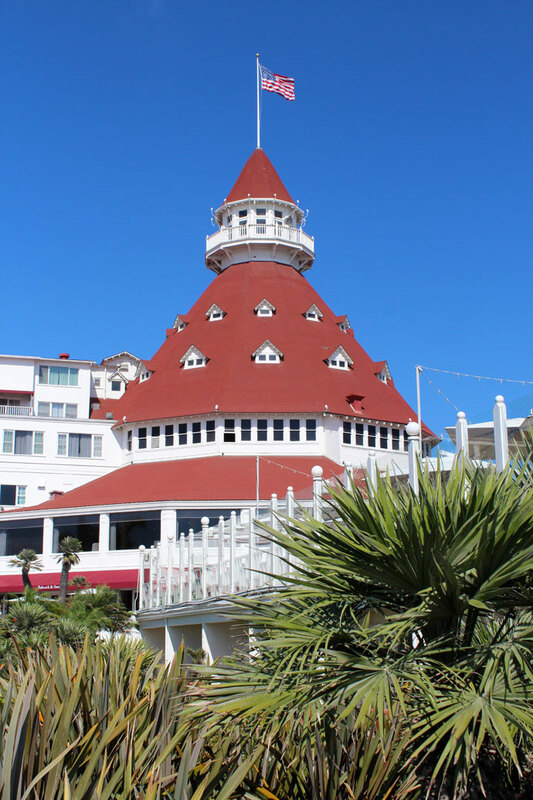 Atmosphere: Coronado attracts affluent travelers who stay in one of the Hotel Del’s beachside bungalows or enjoy a meal in one of the many upscale restaurants. 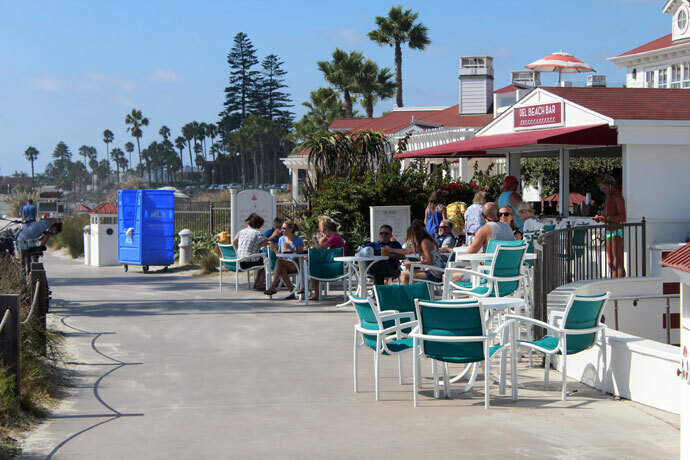 For the rest, Coronado is a scenic area to enjoy island-like ocean views and fun beach play. Parking and Entrance: Parking is free along Ocean Boulevard. You’ll be able to walk right on to the sand. Nice Walks and Views: Stroll through downtown souvenir shops and restaurants, or just walk along the concrete pathway just off the sand to catch a glimpse into the luxury Hotel Del villas that go for up to $5,000 a night. 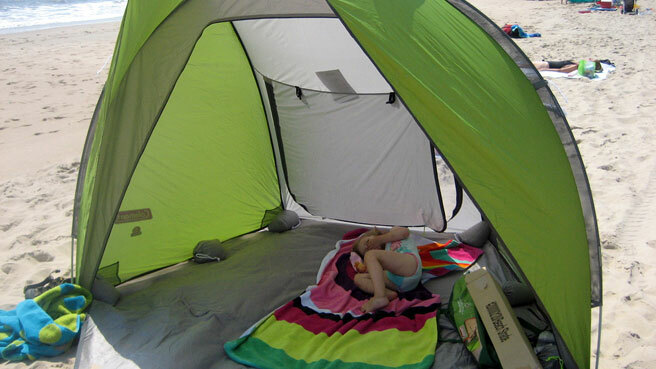 Activities for Toddlers: Chase your toddler over the sand dunes on Coronado Beach or let her wade in inland Glorietta Bay, with calm waters and a park with a small playground. 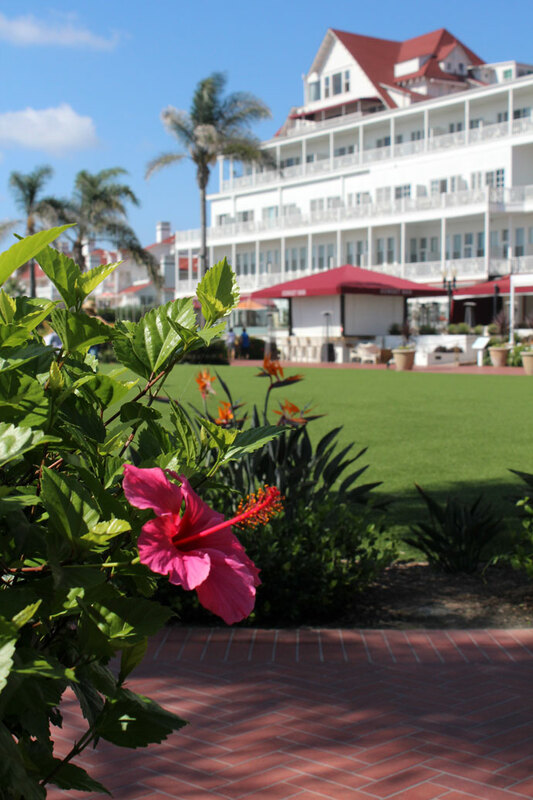 At Hotel Del Coronado, there are several fake grass areas for playing. Bathrooms: Bathrooms and showers are in several locations on the beach. Perks for Parents: Don’t tell the kids, but some say the Hotel Del is haunted. Some Like it Hot, starring Marilyn Monroe, was filmed there. Also, Coronado is home to a naval base, so you may see fighter jets flying overhead. 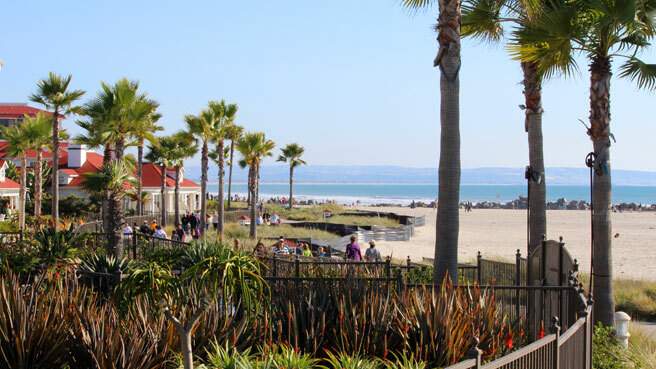 For less history and more action, make your way south to Silver Strand Beach, which is the peninsula that connects Coronado “Island” to the mainland. Silver Strand Beach is an ideal location for water sports, but is fairly remote. 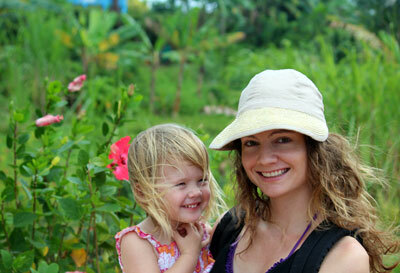 Where to Stay with Kids: For a reasonably priced option with a great location, stay at the Glorietta Bay Inn. There, you’ll have easy access to everything but you won’t be paying the price that the Hotel Del commands. While the hotel is a little dated, it does offer free Wi-Fi and a continental breakfast. Baby-friendly Restaurants: For that healthy goodness that Californians know and love, try the Burger Lounge. They offer grass-fed beef and veggie burgers with a casual ambiance just right for your messy eater. There’s also a bar on the beach, for parents of course. What Else to Do: Cross back over the Coronado bridge to visit one of downtown San Diego’s highlights—Petco Park, the Gaslamp Quarter, or Balboa Park. P.S. This article covers only Coronado Beach and Glorietta Bay and not the Ferry Landing, which is on the other side of the island/peninsula facing downtown San Diego. From downtown, you can take a 15-minute ferry across to a small baby-friendly beach, bike paths and great BBQ restaurant called Lil Piggy’s.